I originally designed and stitched up this pattern for a craft swap, but I had to make one for myself! 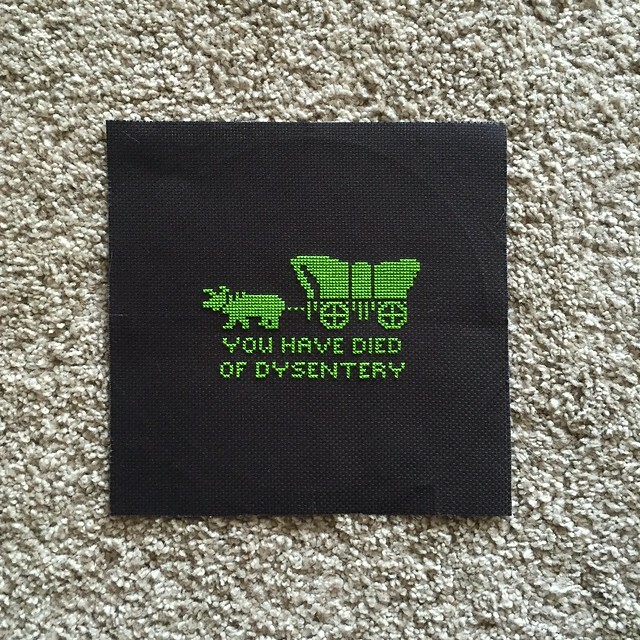 I LOVED playing Oregon Trail in elementary school, so this was a fun project. Ahh! This is wonderful! I loved that game in elementary school, too. This is great. Love the green on black. It was a good day in elementary when you earned computer time to play this... and die.